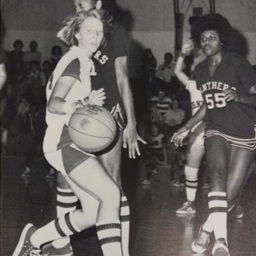 Photograph showing Cathy Wakeman, Central High School class of 1978, advancing down a basketball court. 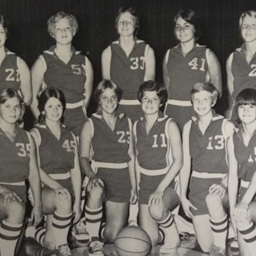 Taken from the 1978 Central High School Yearbook's Girls Varsity Basketball page. 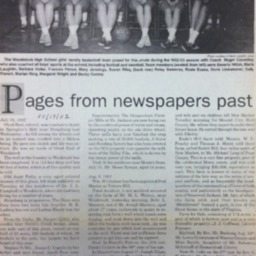 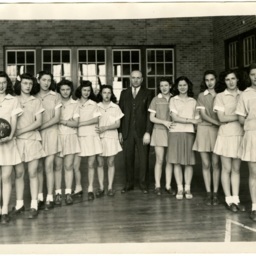 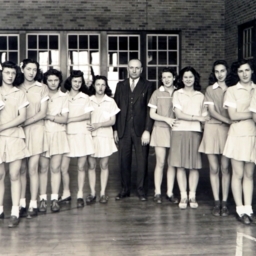 Picture of the 1978 Varsity Girls Basketball Team at Central High School in Woodstock Virginia. 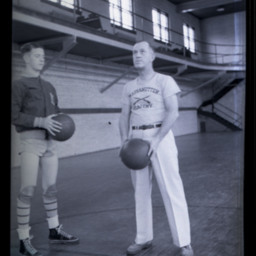 Taken from the 1978 Central High School Yearbook.